We’re always looking to explore cities in different ways! By the more conventional walking or bus tour, or more recently by bike. 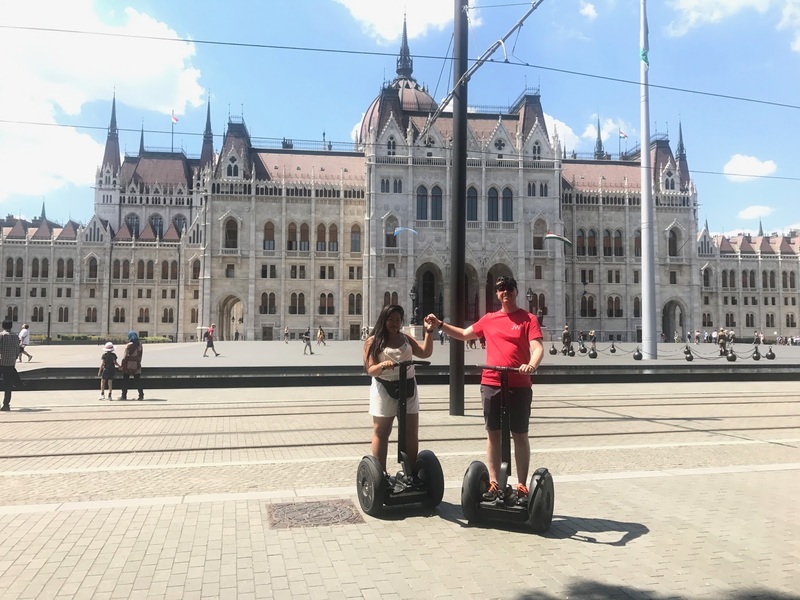 But today was another first for us as we toured Budapest by Segway. 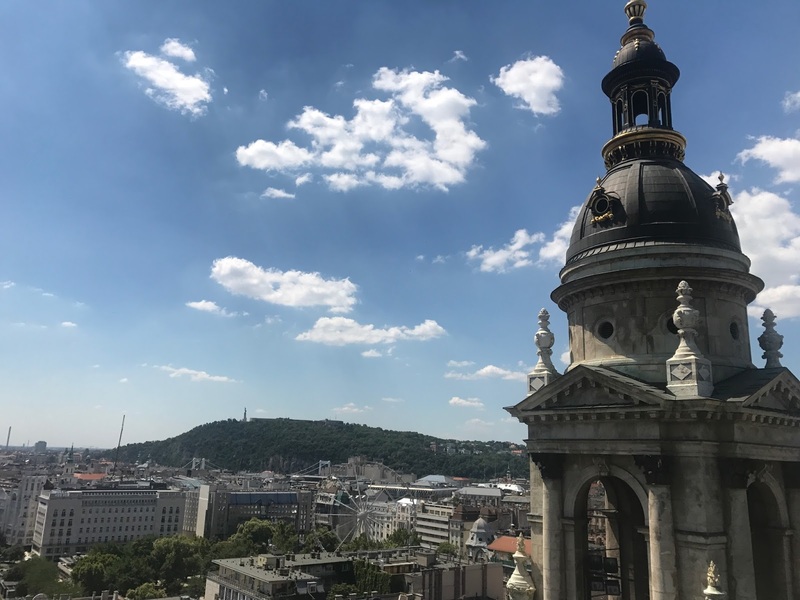 Having spoke to someone in the square by St Stephen’s Basilica a couple of days before, we learnt that it wouldn’t be as scary as we thought, and got back in touch to arrange a private 60 minute tour. 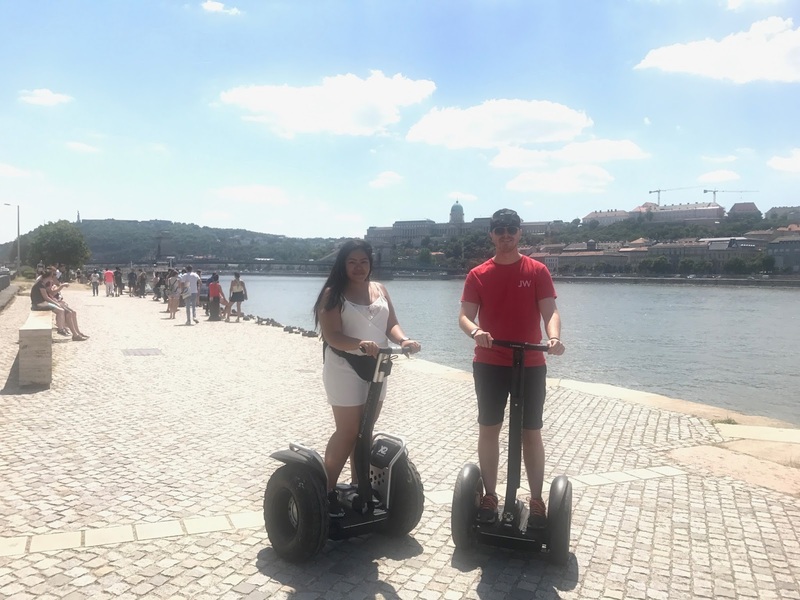 We spent the morning at the Panoramic Tower of St Stephen’s, and then it was time to get Segwaying! 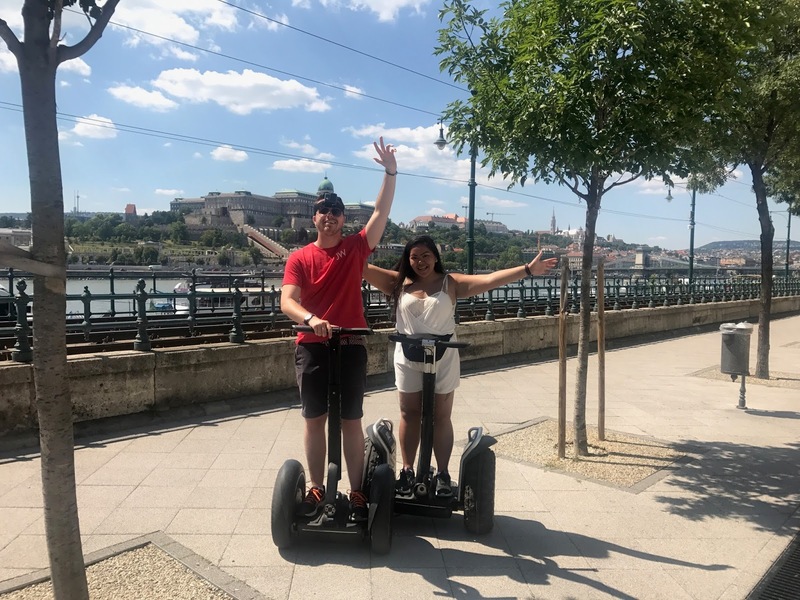 With a choice of routes we decided to cross over the Chain Bridge to Buda, and in the mean time saw Budapest’s main sites and attractions, most of which we hadn’t actually seen already. 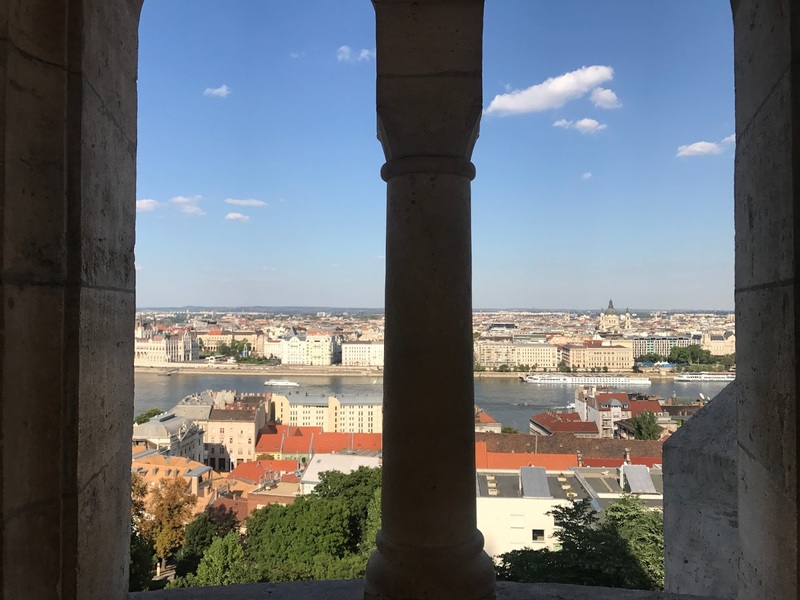 These included Liberty Square, Parliament, the Iron Shoes on the Danube and Buda Castle. Our fantastic guide was always offering to take photos of us, so we’ll let them do most of the talking! 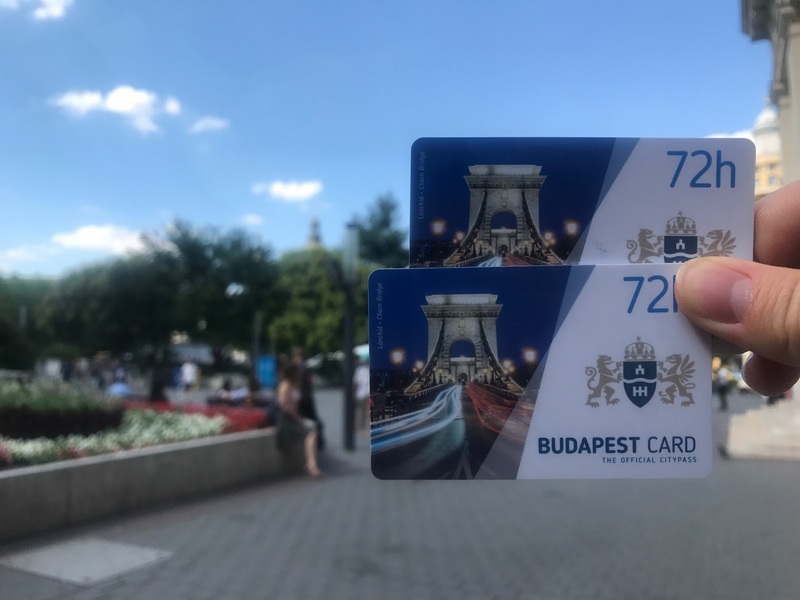 Following our tour we grabbed some lunch and collected our Budapest Cards* which we will have for the remainder of our trip. This will get us discounts and free entry into many attractions, as well as free access to their public transport system. 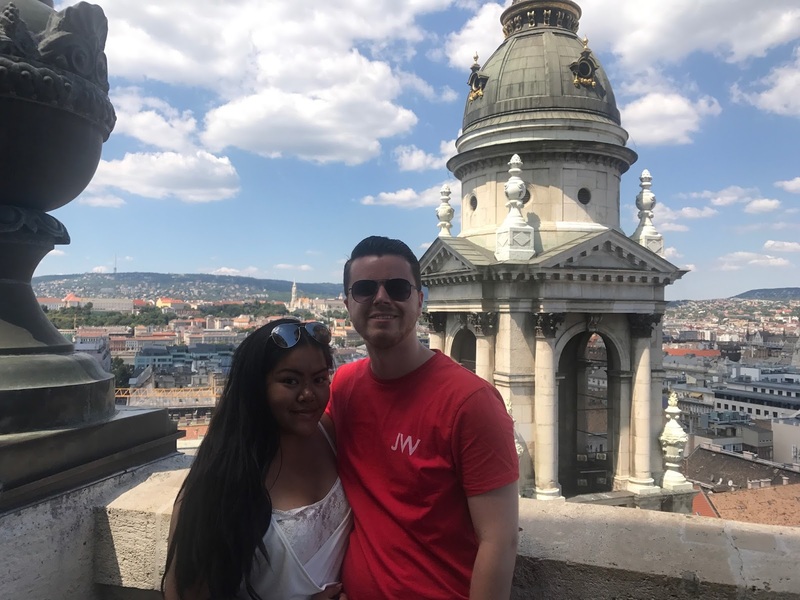 We immediately made use of it by jumping on the bus to go back and see more of Buda Castle. 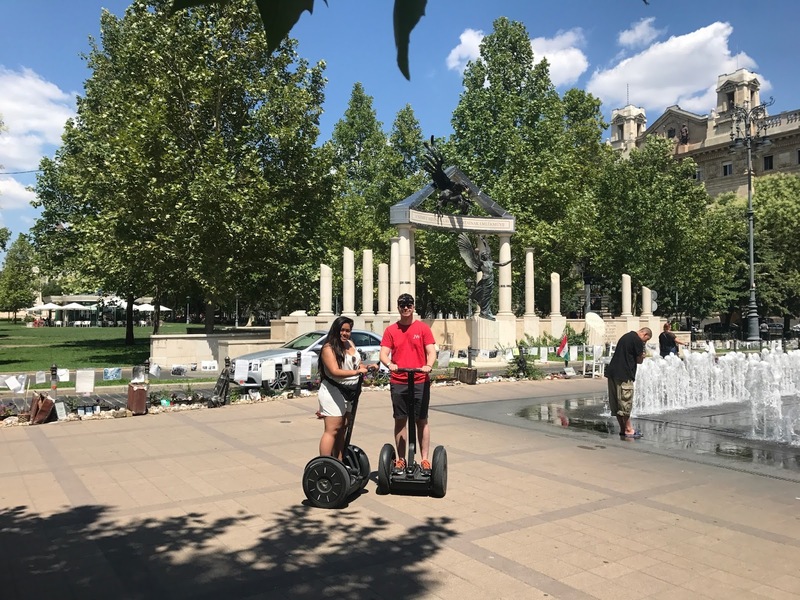 It looked stunning from the small part we saw on the Segway Tour! 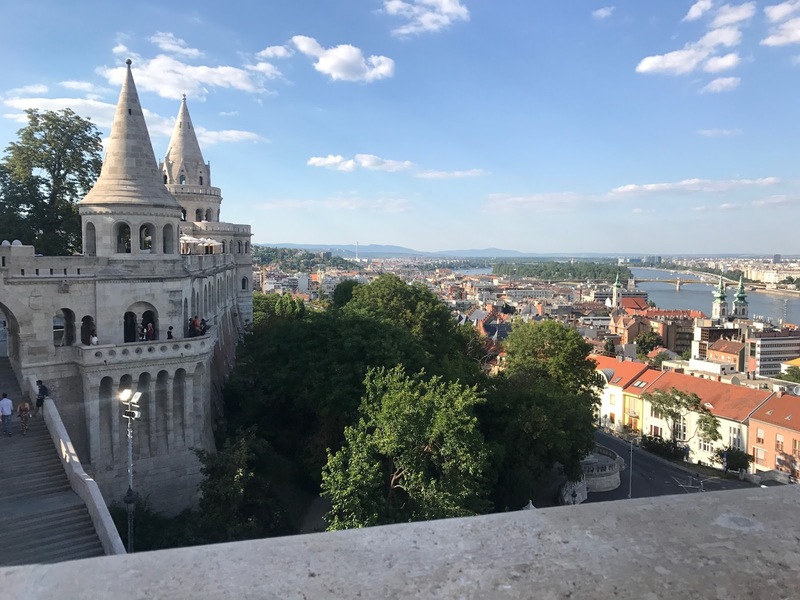 Once on the Buda side of the city, we were also able to get a bus shuttle for free with the card. This toured around the castle grounds, stopping for photos and quick pointers of where we were. 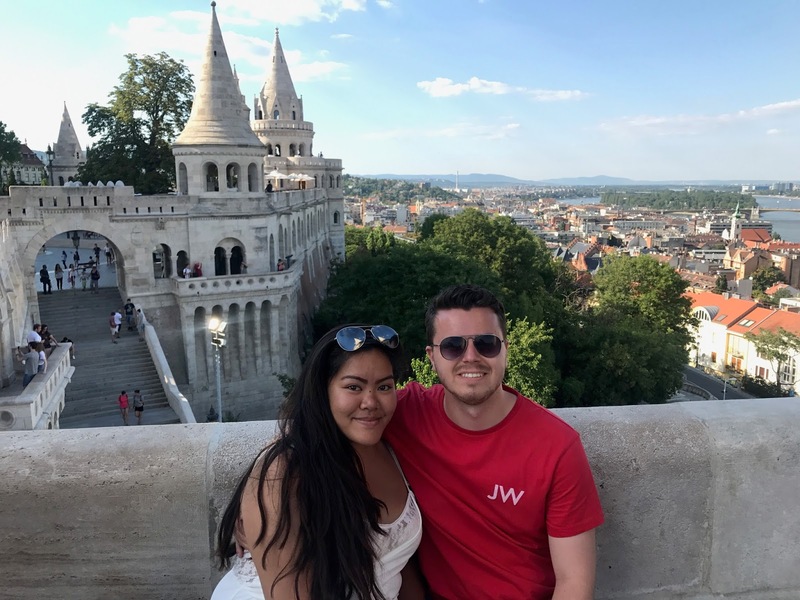 We did a complete full circle, and afterwards got off at Fisherman’s Bastion – again getting discount with the Budapest Card. This is a terrace on Castle Hill surrounding Matthias Church. 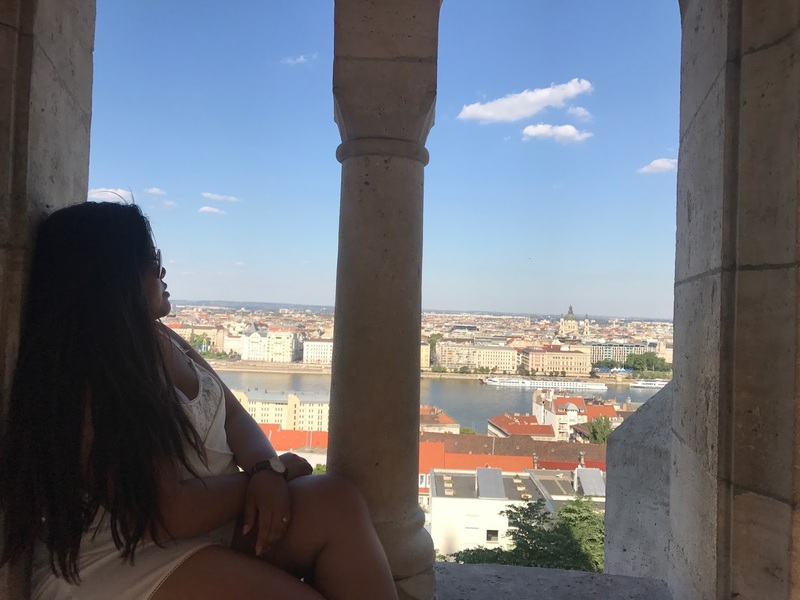 On the bank of the Danube, the views of the boats, bridges and city are incredible – you can literally see everything! 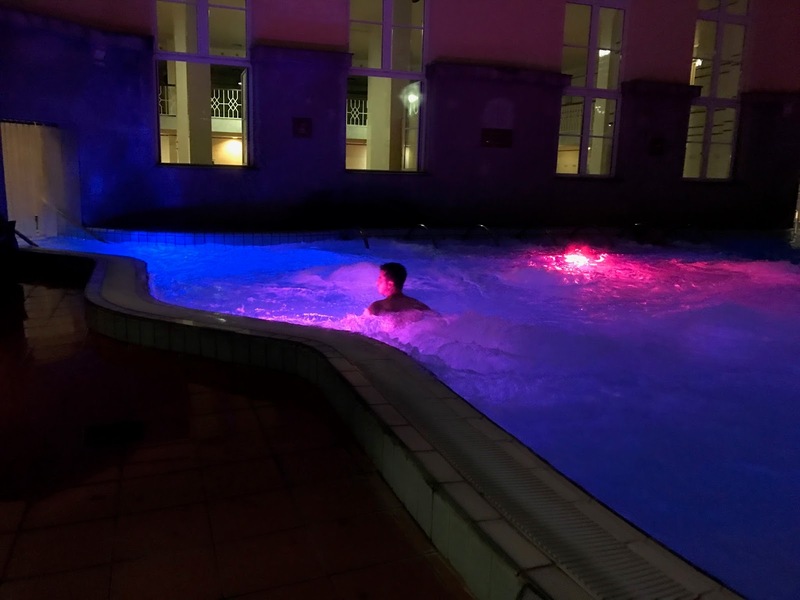 To end our day, we again made use of the card by visiting Lukacs Thermal Baths for an evening session of swimming and relaxation! With the baths being part of the culture here in Hungary, it felt wrong to only go to one of them for a party. As it didn’t close until 10pm, we arrived after dinning at around 8.30, and it was a lovely way to end a pretty busy day! As you can imagine, it’s pretty awkward to get photos in most of the indoor parts of the baths. But towards the end and in one of the outdoor pools, we got a couple of sneaky photos and GoPro footage. We’ll see how that turns out! I love looking at holiday pics, this is definitely a place I would love to visit!